Good news! Hear ye, hear ye! GameCamp will return for 2017! 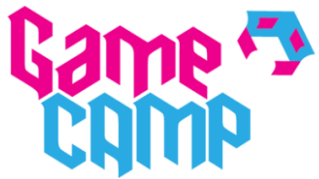 Tickets for GameCamp 9 are on sale now. ((…)) This will be the 9th London GameCamp Unconference, where we invite all doers, makers and thinkers from the broad community of “games” to gather into a freely organised series of talks, discussions and activities under the same roof for a day. The secret ingredient is YOU; come along with a topic about which you’re personally passionate, write your session’s title on an index card and place it on the living schedule in a time slot and a room, then host the activity with your audience of fellow Unconference participants. Or spend the early parts of your day visiting other sessions and schedule your own when the inspiration strikes you! Other not-so-secret ingredients include lunch, a special giveaway, and after-hours drinks at a local pub. The venue is London’s South Bank University, the time is 9:30am to 5:30pm (and then onwards), and the price is somewhere between £13 and £19 depending on how soon you book or whether you are eligible for a concessionary rate. Further details are available at the official site. I went to GameCamp 8 last year and had a corking time; indeed, I’m still kicking myself over missing one particular session whose existence I didn’t know about until too late. This year’s event has every reason to be at least as good and quite possibly better. So will I be going this year? Ah, well; there’s a bit of a problem. The problem happens to be the date: Saturday 6th May. Not only is that one of the dates for Horses for Corpses, as discussed in the previous post, it also happens to be the date for a certain puzzle hunt called DASH 9. There are few events for which I would throw GameCamp over, but DASH is one of them. Pity, really, but there must be something exciting of some different sort or another on every single week and the organisers would never practically be able to find a perfect date, not least because they must work around their venue’s schedule. Admittedly tickets for DASH are not currently available, which might make your decision easier, but do bear in mind the well-placed suggestion that further DASH tickets may well be made available closer to the time. Whether you go to the ninth DASH or the ninth GameCamp, I’d bet good money at short odds that you’ll have a whale of a time! Every time London interactive theatre company A Door In A Wall (for the company capitalises its words, even if its logo remains lower case) announce a major new work, this site gets excited. Spring and Autumn of the past few years have seen hit after hit, and this site has got excited about them more than a few times. One of those times of year is coming up, and the company will be putting on Horses for Corpses. Now you and your friends are finding out that racing is a murky world. It seems like everyone’s got form and the going ain’t easy. Somewhere amid the stalls and stables is the truth, and you’ll have to find it, otherwise it’ll be you who’s in the running… for murder. There are a couple of slight differences to the usual A Door In A Wall format. Teams of 3-6 are suggested (though teams of 2 or 7+ are OK) and up to ten players (so perhaps 2-3 teams, or maybe even 4 tiny ones) get to start in their own private briefing in one of six 20-minute slots offered each afternoon or each evening. After the briefing, you have 2 hours 40 minutes to investigate, then the same players from the private briefing present their conclusions in a private debriefing and determine whether or not they have cracked the case correctly – so the whole thing lasts 3 hours 20 from start to finish. The event is offered on Tuesday to Sunday evenings from 5th May to 28th May, with weekends having additional afternoon matinee performances and a pair of performances on Bank Holiday Monday 29th May rounding things off. The venue is Camden Market, so plenty of good opportunities (and time within the schedule, too!) to grab something to eat and drink along the way. This site really loved the review of a previous event at The Logic Escapes Me, which suggests precisely what sort of things might be involved: varied puzzles, highly immersive environments and plenty of characters to interactive with. From a starting-point that readers over here might be more familiar with, start with DASH, dial the interactions, interesting locations, storyline and pun fun up, then dial the puzzles slightly down, but not out altogether. (Ah, the things you can do when you are running an event 30+ times, with a professional budget, rather than once with just volunteers.) Book your tickets soon before the remaining dates sell out! Live from the latest Unconference in London! An exciting, busy day! ((Edited to add:)) Sadly too exciting and busy for me and I have had to call it a day at lunchtime, but I look forward to hearing more about it for those who could stick around for the whole day. 2016 has undoubtedly been a spectacular year for escape games, but it has been such a bad year in terms of the way has gone that I’m looking forward to 2017 already. There’s something very specific to look forward to at the start of 2017. 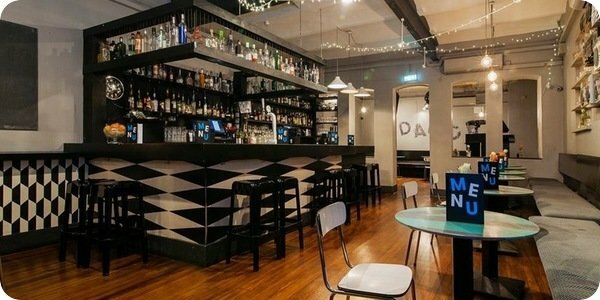 The fourth UK escape game unconference, and the second in London, will take place on Tuesday 10th January 2017, at The Steam Room bar within Drink, Shop and Do, which legitimately is about five minutes’ walk from King’s Cross station. (Depends which exit you use; two minutes from the closest exit, seven or eight from the furthest one.) It’s just down the road from ClueQuest, Omescape and doubtless others. It’s also quite an interesting area in its own right, but more of that another day. Tickets are now on sale. If you book very, very soon (by the end of October?) then there are still a very small number of tickets available for £28 + booking fee, representing a 20% cut on the standard charge of £35 + booking fee. That’s not a trivial sum, but as well as excellent company and incisive discussion that you’re not going to get elsewhere, the sum pays for lunch and drinks. (Take a look at the Drink, Shop and Do web site; the sum pays for pretty pricy lunch and drinks.) If you’re interested enough in the genre to be reading this, you’d very probably have a whale of a time, whether you’re a player or a professional. Take a look at posts about the first three unconferences to get a sense of what to expect. The other interesting thing about Tuesday 10th January is that it’s the second Tuesday of the month, so it will be a Puzzled Pint night as well, once the unconference has finished. If you’re come from afar for the unconference, why not make a full day of it in London, and see what Puzzled Pint is about as well? 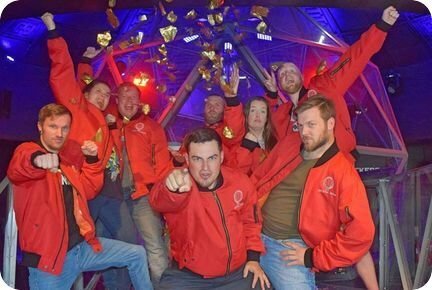 The Crystal Maze live: what a rush! “What a rush!”, as the wrestlers used to say a quarter of a century ago. Perhaps it was a little more like “Oooohhuurrgghh what a rush”. The second most frequently asked question I had in the Exit Games UK years racked up all its appearances in a single day: when I organised the industry-wide trip to the live The Crystal Maze attraction in April, I was asked remarkably frequently which team I was playing on and people were surprised that I had sold all 32 spaces and wasn’t playing myself that day. I had long known that I would be playing in a group on Saturday June 18th. It was well worth waiting for; the game left me beaming with joy for a good hour afterwards. No wonder everyone had been buzzing so much on the day in April! I was first up, playing a physical game, and I got to play the one I hoped; no spoilers here, but it’s an authentic game from the (fairly spoiler-heavy) official trailer. I fairly threw myself into it (the top of my shoulders and the back of my neck did rather hurt later, but probably due to lack of sleep rather than due to the maze) and escaped with the crystal, feeling modestly heroic, with an announced twenty seconds remaining. Later on, I successfully solved a maze in an unfamiliar-feeling mental game in the Futuristic zone. Our maze master was Jezebel, not one of the eight I had seen at the Dome on the industry trip. The different maze masters interpret their role in ways between the authentic O’Brien (or Tudor-Pole) and factual or fictional members of the Village People; while Jezebel is a name with its own cultural baggage that I wouldn’t want to disparage, the way Jezebel played the position had something of the manic pixie dream girl to it, which definitely worked for me. The hosts worked really well, particularly in the set piece at the Dome, to set an appropriate tone; it was clear that the hosts were here to sell success throughout and the level of refereeing was rather more… generous than the famously rigorous show, but the level of competition was not quite toned down but put firmly into the appropriate context with a wink in its eye. It’s a fine line to tread and the hosts manage it well. Playing seventeen games between the team was slightly fewer than I was hoping for, having first-hand evidence of a team going 15/19 on the industry day (and hearing that there has been a team who brought 18 crystals to the dome from some unknown number of games). In part, it seems very likely to be that we weren’t all that quick at the games. In part, it seems very likely to be that we definitely weren’t all that quick transitioning between the zones. In part, it seems a little likely that Jezebel didn’t completely prioritise trying to fit as many games in as possible… and that may well have be a decision that arose as a result of her reading our team and our body language to see what sort of team we were, not being the team in the biggest rush of them all. It’s worth noting that the levels of fitness varied heavily through the team, from experienced obstacle race runners to those with joints that didn’t work all that well, bordering on mild mobility issues. In practice, it wasn’t an issue, though a few more ups and downs and it might have started to approach becoming one. On the other hand, the ups and downs were fun (at the time, though they started to add up and tell later on through the day…) and added considerably to the adventure playground feeling aspect of exploring the landscape. Some non-spoiler-y tips: in the darker zones (and that’ll make sense in context), there are things to look out for outside the cells, to give you something to do other than watching the game and shouting suggestions. Talk to your maze master and see if you can get some hints. Another tip is that with time being so critical, if you’re in a game with an automatic lock-in on a third failure, that’s a borderline invitation to make two failures just to save time. A risky tactic but one which may save tens of seconds. The whole experience felt convincingly thematic, barely stopped moving and was an absolute thrill. Some of the games were less brilliant than others; the ones that were of the form that we would consider similar to what we know as an escape room now and were not the most wonderful examples of the genre. If part of the attraction is being surprised by something you’ve never seen before and having to work it out on the spot, as well as to execute it within the time limit, then if you’ve seen a lot of episodes of the show recently, you might not quite get everything you want here. On the other hand, Challenge have been giving lighter emphasis to the show on their schedules recently, so it might not be so much of a problem. Does the experience offer good value? This is going to be an intensely personal decision; the experience is so unique and benefits so much from authenticity (noting the points at Bother’s Bar that it cannot be completely authentic and so does not even try to be a replica) that you may find the premium worthwhile. Would you get more from playing two really good, high-end escape games, some time apart? If you’re not bitten by the nostalgia, quite possibly so. The prices offered at the Kickstarter (£1,000 for 32 players; £300 for 8 players) definitely seem entirely justified in context, simply because there is so much really cool stuff to play with; the prices available now are a step higher still. In terms of smile duration and happy memory per unit cost, this certainly does well. It was an utter adrenalin rush and joy rush, as well as a non-stop frantic dash. It’s tempting to play a game where you can imagine what the rent and rates bills for the Maze might be (for commercial properties’ rental prices can often be found online, at least until soon after the property goes off the market – though there’s no guarantee that the listed rental price is actually the price at which the deal was struck), try to look for counterpart commercial property in – say – Manchester, estimate the number of players over the course of a year, try to amortise the lower bills over the number of players and then conclude that the whole enterprise could be done for x pounds per head fewer in Manchester than in London. The economics probably bear much closer comparison to that of a high-end theatre show, though; not many shows will play in both London and Manchester at once, and the concept of travelling to London to see a show is so well-established that this should be considered more as an attraction than an activity. It’s very tempting to wonder how much more there is that we didn’t get to see. Certainly there seemed to be more cells that we didn’t get to explore than I was expecting, the trailer video points at unfamiliar-looking games, and I wasn’t quite cheeky enough to start looking behind random windows to see if there really were lots of other games that were good to go at no notice, or if there’s some magic going on. (Surely maze masters and black-clad game resetters would not approve, but there’s definite scope for stealth.) If you played a second time, would you get to play different games? How does the experience compare for teams who start in different zones; what exactly happens to the team who get to the Dome first? Lots of open questions to enjoy thinking about, and it would be great fun to know a little more about how things work behind the scenes. It’s highly intriguing to ponder how the maze will change over time; it’s noticeable there have been changes already – teams went around the Maze wearing the bomber jackets in late April, but were advised to wear a single light layer only when playing in June and only wore the bomber jackets for the photos. Looking at the tickets site, there’s an extended break over Christmas and the New Year, and perhaps the contents of the maze might be refreshed at that point. I’m definitely very idly thinking about a second trip at some point, but – of course – it’s booked out so far ahead that that might be a problem. Or might it not be so much of a problem? Looking at that tickets site, you may spot a gap on June 30th when no tickets are apparently being sold. A little detective work suggests that that is not the case. Gay Times suggests that The Crystal Maze is due to be taken over on June 30th. “The Crystal Maze Pride Takeover will commence on 30 June, and will see a host of characters from London’s cabaret scene guiding guests through the recently revitalised maze. HIV-awareness charity Terrence Higgins Trust will collaborate with the venue ((…)) Drag superstar Jonny Woo will host the event alongside The Family Fierce, a collective of quirky queer cabaret stars who will act as ‘maze masters’ during the event.” Richard O’Brien would surely approve wholeheartedly – if you look at O’Brien’s work, it’s hard to imagine he would choose it to happen any other way. It wouldn’t be a surprise for this even to be a personal O’Brien initiative. There are tickets going for this unusually special day at The Crystal Maze, so perhaps you might only be waiting until the Thursday after next to play, rather than months and months. Tickets for this one day are the special price of £69, plus 5% booking fee. I imagine that it will be one of the best days of some people’s lives! 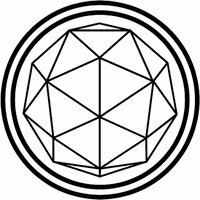 This Saturday afternoon, my better half and I will be going to the The Crystal Maze attraction in London with a team of four lovely people, three of whom you might know from past puzzle hunts. As the game is designed to be played by teams of eight, this leaves two places on the team spare and the tickets are available at cost price. The Crystal Maze is essentially booked out for months and months, barring stray cancellation places. For instance, there’s a rare space for five at 3pm tomorrow as I type, then nothing until three individual spaces dotted around August. Accordingly, this is a pretty unusual opportunity, and the company should be rather good as well. Are you interested? If so, please get in touch ASAP. The places might have gone by the time you do! As previously discussed, today saw the eighth almost-annual GameCamp in London, at a campus of South Bank University near Elephant and Castle. The day saw something like 200 or 300 attendees enjoying an ad-hoc programme between 10am and 5pm (and an afterparty in the pub…) with people offering talks and activities on the half-hour, along with an extensive board game library and digital game demonstration lounge and occasional social games in the hallways. There were plenty of very knowledgeable, smart people there and an awful lot of fun ideas. I enjoyed the event not only as a random attendee but also as a student of unconferences, having had only the Leeds edition (as an attendee) and the London edition (as facilitator) of The Great Escape UK. In truth, I had rather a shy day. The night beforehand I had grandiose plans for running a chocolate-tasting game with a box of tiny Green and Black’s flavoured chocolate bars, but (a) the bars are so small that the game wouldn’t have been fair and (b) the chocolate was out of date and some way past its best. (Maybe next year, though, with more preparation and more chocolate; in context, it would have fit in quite well.) I had also thought about trying to run sessions about puzzle adventures outside locked rooms or The Genius (or, more generically, “proper games on game shows”…) but it quickly became clear that the standards were so high – session attendances varying from approaching ten to more than fifty – that I wouldn’t have been able to busk the sessions. Again, maybe next year, with proper preparation. The talk I most enjoyed was Oubliette‘s Mink ette on Designing Escape Games. This had a few dozen attendees. Adrian Hon had spoken on the genre at GameCamp 7, two years back, as mentioned at the time, and the audience (heavy on game developers, but game developers in many media) were much more up-to-speed now than they were then. Mink had given a talk at Strange Tales to an audience who were focused on narrative; this talk – completely off the cuff – was much more development-focused, and hit the mark completely with the audience. As this is Ex Exit Games rather than neutral old Exit Games, I can say that Mink absolutely nailed it; I had a huge smile on my face for 26 minutes, and a covered mouth and furrowed brow for the other two. By the same token, I am of the opinion that Mink’s breadth of multimedia storytelling game experiences means that she gets it much more than most – she has a variety of perspectives, approaches and understanding of the modern story game aesthetic that I have heard infrequently elsewhere. Here’s a slightly silly analogy based more on feeling than anything else, but with at least a grain of truth behind it: Punchdrunk is to Myst as Time Run is to Monkey Island as Oubliette is to Gone Home; all great, in different ways. As discussed, Oubliette won’t be around for long in its current form. It would be a terrible shame to lose Mink’s experiences and vision from the world of escape rooms (yes, this is pretty much a direct HIRE MINK, SHE’S GREAT plug) but, if it happens, we can be sure that something not very far away will gain instead. once the flow of nominations dries up, there’s a vote among the players (today using Approval voting) to determine which nomination wins the category. I suggested the GameCamp 8 award for GameCamp 10’s “That’s so GameCamp 9”, which I should have more neatly called this year’s next year’s last year’s thing, and which was not unreasonably elided to “flashes in the pan”. VR games were nominated first and much discussed. The fourth nomination – obviously not by me – was that of live-action escape games, described in some most unparliamentary language. Oddly enough, I rebutted the nomination, to a decorous round of applause from the nominator; when it came to the voting for the award, VR games won, but escape games did come a pretty close second. On balance, I don’t mind the nomination at all; one of the ways you know your genre has made it is when there’s a backlash against it. Many thanks to the committee for all their hard work, to the overseers of the board game library and to all those who contributed, either by leading a session or just by contributing to one. (Playing games definitely counts here.) It was lovely to see people from both Puzzled Pint and from the London The Great Escape UK unconference – no name checks, but you know who you are. (It’s also great to start to bump into people more and more frequently; that’s how you make friendships!) It was also lovely to get something that had been weighing on my mind somewhat out into the open, and it was received as well as I could have hoped. The unexpected conclusion that I came away with from the unconference is that it was absolutely the right decision for me to move from Exit Games UK to Ex Exit Games. Just as well, really! 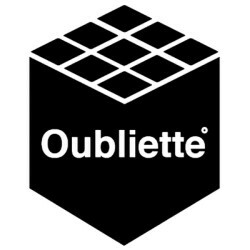 This site has always been rather… reticent to post about Oubliette, which opened in Brixon, south London, in January. The road to Hell is always paved with good intentions; as hinted at, Exit Games UK knew Oubliette’s proprietors, at least a little, before it opened and even volunteered to sand down some of the floors and walls in the building, which it hasn’t done for any other game. (Yet!) Exit Games UK even has a cracking interview with the proprietors while they were getting started which was, at one point, intended to be the “before” part of a “before and after” piece. “When you begin to play our room escape game, you walk through a door and find yourself plunged into New Pelagia, an Orwellian dystopia full of suspense and suspicion. The people here are watched over by the love and grace of JCN, a huge pervasive computer and CCTV network. The government rations and controls everything to keep things tidy – there are rumours that sometimes people get tidied away too. If you’ve played and enjoyed exit games before, but never had that sort of experience, and if those sorts of descriptions sound like your cup of tea, then there can be few higher recommendations for the originality, intrigue and interest of this game. (On the other hand, if you know you’re lousy with dystopian stories – *raises hand* – then it might set your expectations as a game that might not be for you, and that’s cool too.) Closer to home, the game was reviewed at The Logic Escapes Me, rushing straight to very near the top of the recommendations; it was discussed in the first episode of the Escape from Reality podcast as well. So why discuss this site now? The latest news is not good: the site is set to close, in its current form, at the end of Saturday 18th June. The Adventure Society shop, used as a framing device for the staging of the game, may also have to go on its next great adventure. All right. This is very clearly a special game in a busy field, which may very well not be around for long. On the other hand, there may be people for whom a demonstrably, tried-and-tested, game with a unique extent of focus on its story would surely be of interest in a business sense as well as a player sense. The business model for Oubliette is a bit different from that of most other games, and to try to make it fit in a similar box to most other games would be to destroy some of the ways in which it is most attractive. Nevertheless, a game this distinctive and critically acclaimed would be a remarkable addition to any facility, so the countdown is on… in more ways than the usual one.